Redux - "50: Pretty Shoo-Fly for a White Guy"
Jeremy: Ew. I personally have a strong dislike for shoo-fly pie, no matter how wet the bottom is. Here we get to see a lot of Lancaster friends in the background that we have seen in earlier strips in this storyline, as well as a few randomly drawn cartoon denizens that are intended to bear no resemblance to anyone we know in real life. Except for one person. A free green gummi bear goes to the first person who can, by way of comment to this strip, name this person, and point him/her out in the strip. Shameless plug time: The band Elle is referring to is The French Revolution, my studio project since late 2009 with one of my closest friends, Daniel French. We are about to release our 2nd free full length album (first week of June), but you can still get the debut free full-length here. Although, this comic strip may be the only place TFR will ever “perform”, as it is just a studio project at the time of this posting. 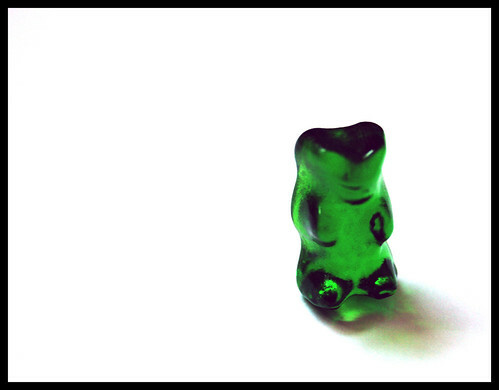 Man, and *I* can’t say who it is, even though I *do* like Gummi Bears! Dangit! Yep, my wife finally makes it into the comic, and that’s her talking to Nean’s cartoon doppelganger, Jasmine 🙂 Here’s your prize! haha yeah I noticed that. but I bet Sara guessed first without even seeing it. Because she’s wicked smart and fast on the draw. Yes, Directions Man lurks in the shadows! Also is Chad talking to Myka? And how come every character has a foxy lady to talk to but me!? And don’t think cell phone boy counts, because he’s totally texting some sweet lady with that phone. I demand a personalized extended panel two where I’m chatting with a lady. Blondie and Cell Phone Boy are just two drawings I made up to fill out the line. And actually, Directions Man is intently listening to 3 different gorgeous women talking to him about all the sweet dates they’re going to go on together. Now that sounds more like reality! I have no idea what a Shoo-fly pie is but man am I ever craving one now. Love the fact that Balthazar holds the pie up proudly with a fork in the van, but chooses to use the natural cutlery God has given us to woof it down as he walks. Hold onto that pie plate Bal, it may double as a hi-hat in a pinch one day. Jeremy, you need to get TFR out of the Studio and into the streets and venues…The French Revolution needs to perform for the world, share it with the world man…share it with the world. The world will just have to be content with having the music shared with it online. Have you already downloaded and checked out TFR’s The Letdown? I downloaded TFR: “The Letdown” today. Listening to it now. Sounds really good, I like it. Awesome! Thanks for checking it out, man. If you ever put me in one of your comics, can you shave off about 15 pounds and add a few inches. to my height I mean. or whatever. Sorry, Keith. Your character has already been drawn as a 4 foot, 400 lb. woman. With tattoos of dragon scales all over the face area. Perfect! That’s exactly what I was asking! Because right now I weigh 415 pounds and am 3′ 9″ with FISH scale tattoos on my face (which are way less cool). Thanks man. No problem. Just another example of how comic strip artists make dreams come true. Wait….You mean your wife would have to wait outside for your show? And she seems okay with that, too. Is she spying on what the fans in line are saying? The French Revolution is dumb!!!!! !